Burger King Does Their Homework, Gives Customers What They Want? 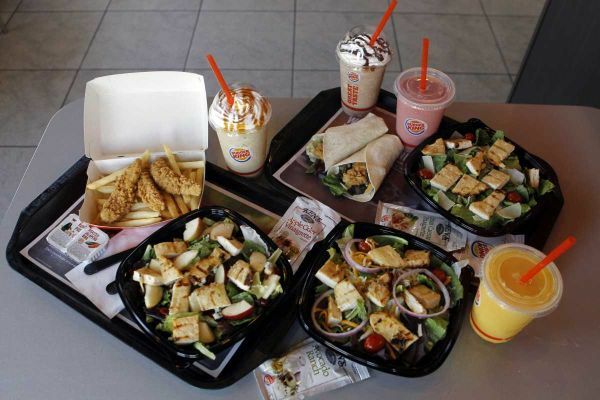 Burger King launches 10 new menu items in an effort to regain share and increase unit sales. The menu items include a new home-style snack wrap, salads, smoothies and frappe coffees. Although these changes may not lead to a rapid turnaround for the burger giant, it certainly is a giant step in the right direction. After all, it has often been said that “sometimes the best ideas are borrowed” and “imitation is the greatest form of flattery”. This entry was posted on Monday, April 2nd, 2012 at 2:29 pm and is filed under Beyond Foodservice, Consumer, Darren Tristano, Food, Foodservice Industry, Health & Wellness, Marketing Initiatives, Menu, Menu Development/Innovation, New Product Tests/Mentions, Press Releases, Quick Service, Rebrand, Restaurant Segments & Cuisine, Technomic Press Release. You can follow any responses to this entry through the RSS 2.0 feed. You can leave a response, or trackback from your own site.